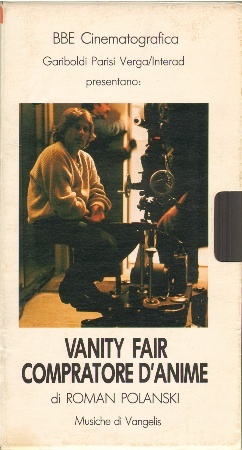 I am totally thrilled to have located a promotional copy of this little-known Roman Polanski/Vangelis collaboration that pre-dates Bitter Moon. In 1990, Vanity Fair reached out to Roman Polanski and his wife, Emanuelle Seigner, to create a commercial for them. The timing was perfect. Vangelis was in Italy at that time, having finished Francesco and this first collaboration began. The video itself is intersting, beginning with a "Making Of" (in Italian) and then the short commercial is presented with all-new Vangelis music. A true rarity!